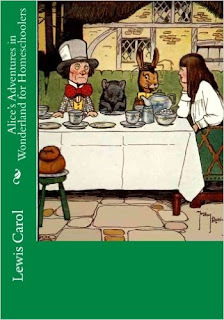 Alice in Wonderland for Homeschoolers will rekindle your love for this wonderful classic in a contemporary format. Revisit the magical land where Alice meets the White Rabbit, the Queen of Hearts, the Cheshire Cat & the Mad Hatter and so many others. Our edition is the size of a Hard Cover for easy reading for eyes young and old!